I love how you can find inspiration for creating patterns from all around you, especially from nature. 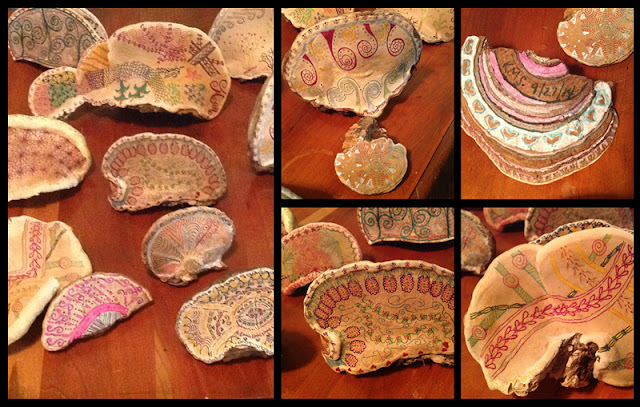 Kathy, who is a bit of an outdoor enthusiast, created these wonderful pieces by doodling on dried shelf mushrooms that she found on dead trees while hiking. I love how unique these are and how they tie together nature and art. 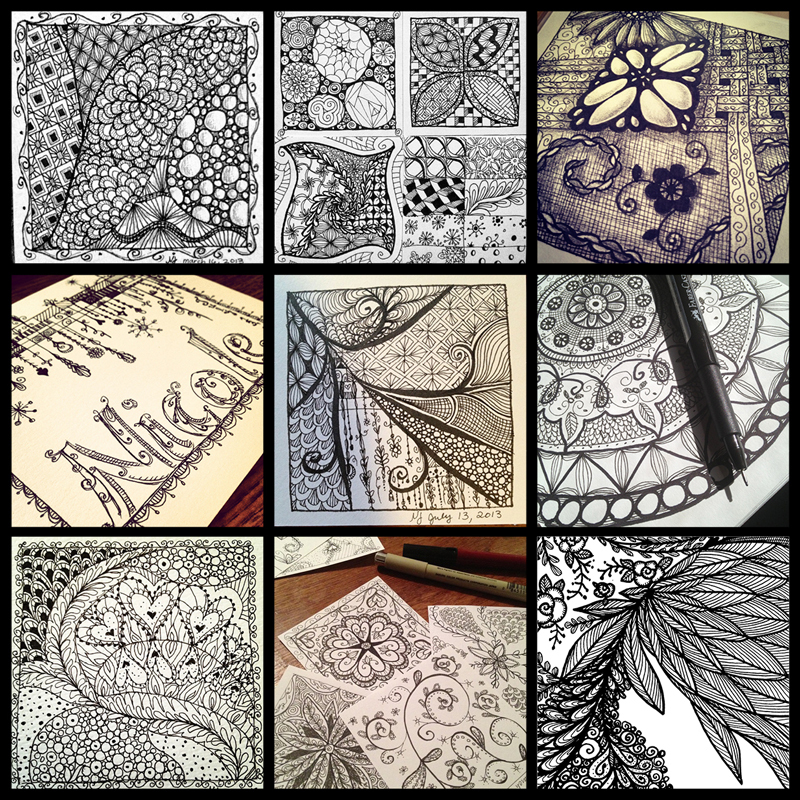 I've created some free downloads as well. The first is just some general advice and ideas to get started. 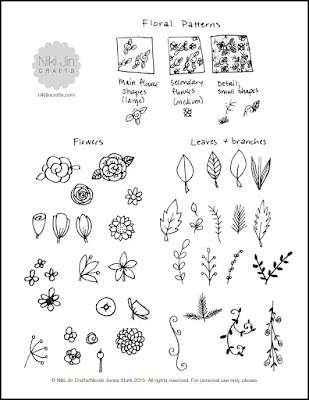 The second is a worksheet for creating a floral pattern, which is my favorite type of pattern to draw. Enjoy! 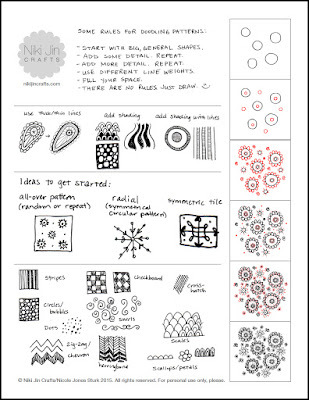 This is a great resource for those interested in surface pattern. This site includes a free digital magazine and various courses on the subject. 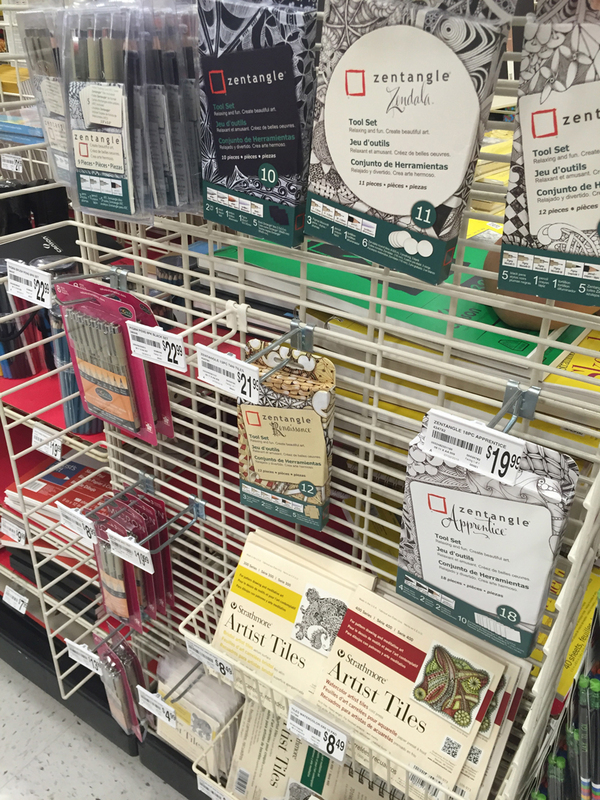 Learn more about Zentangle here.